A few things keep coming up over and over again in the forum’s, on Reddit, and on IRC. 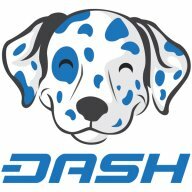 To help provide transparency to the DASH Project we feel it is imperative to make sure that we discuss our mistakes, document what we have learned, and discuss how to turn each negative into a positive. This FAQ page is built from a compilation of BCT (https://bitcointalk.org) and DCT (https://dashtalk.org) posts. Forums are great for discussion but circling around and trying to find the posts that are on topic among the posts that are just noise, can sometimes be daunting. We have attempted to sift through and find the major blunders experienced throughout this projects young life. Once found we them we felt the needed to openly discuss them and how they have allowed us to learn.